Odisha JEE 2019 will be conducted for admission into Engineering, Medical and Management courses in the state. Candidates should be careful and know all the required eligibility criteria before applying for Odisha JEE. 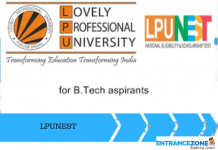 The candidate seeking admission into B.Tech./BAMS/B.Pharm /BBA/ MBA etc. 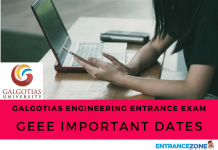 courses in Odisha can apply for Odisha Joint Entrance 2019. Candidates must read the OJEE Information Brochure for complete details regarding the Odisha JEE 2019 Eligibility Criteria. The OJEE Chairman notified new change in admission procedure. Now OJEE will follow JEE Main Scores for admission into Engineering Courses in State. This article provides the basic eligibility criteria for B.Tech program through OJEE 2019. Odisha JEE 2019 counselling will be started in the second week of June 2019. BAMS and BHMS 50% 40% Passed 10+2 examination of CHSE, Odisha or equivalent with Physics, Chemistry, and Biology. LE B.Tech 45% 40% Passed 3-years diploma in appropriate branch of engineering/technology. MCA 50% 45% Bachelor degree (BCA, BSc (IT/CS/IST/ITM) in any discipline passed with Mathematics at 12th level or at graduation level. Integrated MBA 45% 40% Passed 10+2 in any stream. M.Tech/M.Arch/M.Plan/M.Pharma 50% 45% M.Tech, aspirants must be passed or appearing bachelor degree examination (B.Tech). M.Arch, bachelor’s degree in architecture is required. For M.Plan, candidates must have passed bachelor’s degree in Geography, Economics, Sociology, Statistics, Environmental Science, Anthropology, Social works with specialisation in Community Development as well as Rural Development. Firstly, The candidate must be a citizen of India and a resident of Odisha. Also, the applicant must fulfil the JEE Main 2019 Eligibility Criteria. 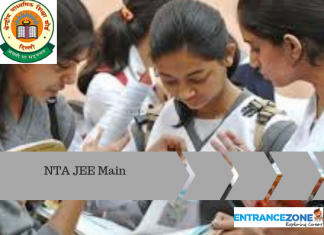 Candidates should appear for JEE Main 2019 and obtain a valid State and All India rank. Applicant must be aware of all the Eligibility Criteria before appearing in Odisha JEE 2019. In case a candidate belongs to a reserved category, he/she must have all the required documents with him at the time of counselling, if selected in the merit list. For any further details regarding the Odisha JEE 2019 Eligibility Criteria, aspirants can check in frequently at our website as well as on the OJEE official website. Refer link of Admit card is here.